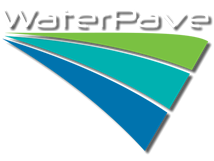 At WaterPave we’ve established a reputation for delivering top-quality products at competitive prices, helping homes and businesses across Melbourne experience the benefits of a water permeable driveway. If you’re looking to redesign or upgrade your dilapidated driveway then why not chat to our team about our selection of lasting paving solutions. Thanks to our range of quality alternatives to pervious concrete driveways across Melbourne will look better for longer. Aesthetically pleasing and environmentally friendly, our products aid in the dispersal of storm water, meaning you won’t have to suffer your driveway turning into a river every time it rains. So if you’d like to learn how you can save space, money and the environment all with one simple installation get in touch with the WaterPave team today! At WaterPave we’re proud to supply two of the best and most in-demand products available to create a stunning and durable permeable driveway solution for your home or office. Scroll down to see the benefits of both DriveCon™ and DriveTec™ and find the perfect new driveway for your home or business. Our team are always on hand to explain what a professionally installed, top-quality permeable driveway system can do for your property. To find the best way to reach us simply click here. The DriveCon™ system has been engineered to carry everyday vehicle loads and, being the most efficient permeable system on the market, it is also the most affordable. From multi-unit developments, involving many driveways and paths, to single driveways – large and small, the DriveCon™ system can be installed on the smallest of areas to large commercial applications. A specialised coloured sealer and a border to frame the paving may be added to any project to enhance the appearance of the end result. DriveTec™ is WaterPave's premium engineered permeable system developed for driveway and car park applications. Most commonly used in development site where local councils have specified a “low-impact” or “permeable” surface to be installed due to the Tree Protection Zone (TPZ). The DriveTec™ system consists of a permeable sub-base blend at 90 to 100mm thick. Then WaterPave's UV stable resin-bonded Granite or Marble aggregate (available in nine colours) is applied over the sub-base layer to create a 20mm thick unique seamless surface layer.